Editor y conversor de audio / video todo en uno. 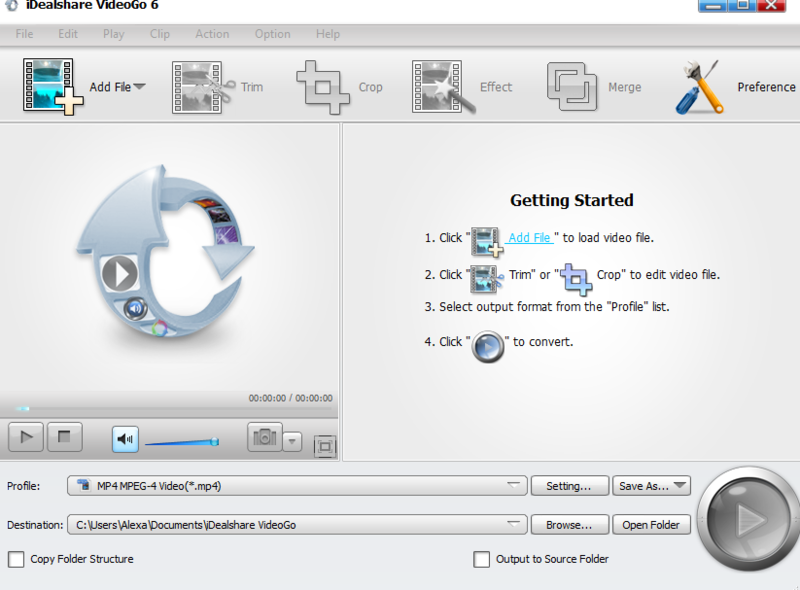 iDealshare VideoGo es un conversor, reproductor y editor de audio y video todo en uno. Ayuda a convertir todo tipo de formatos de video y audio casi sin pérdida de calidad. Puede reproducir directamente archivos multimedia sin conversión. También cuenta con funciones de edición de audio y video. Convierta videos para reproducirlos con éxito en iPad, iPhone, dispositivos Android, Samsung Galaxy, PSP, BlackBerry, Google Nexus, Microsoft Surface, Xbox y etc. Edite archivos de películas como recortar, recortar, fusionar, dividir por capítulo, rotar, comprimir video, aumentar el volumen de video / audio, agregar subtítulos / efectos / pista de audio / marca de agua, etc. NB: Licencia de por vida sin actualizaciones y soporte técnico. If you would like to enjoy free lifetime update and support. The lifetime update license can work on two computers. Support free lifetime update and support. I've seen this program under at least a dozen different brand names, and I usually keep one on my system along with other video editors. It's fine as a basic video converter and editor, but I wonder what the source of the code is. Are the companies (all Chinese I think) all associated with each other, or are they getting the code from some common open source? Seems to be rather old , which seems to mean, no new H265 codec included (supported?). If this is true, one can not convert/cut/do_any_other_work videos which were recorded from the newerTV DVB-T2 standard...? Can the developer or anyone else verify this? Seems to be rather old , which seems to mean, no new H265 codec included (supported?). If this is true, one can not convert/cut/do_any_other_work videos which were recorded from the newerTV DVB-T2 standard...? Can the developer or anyone else verify this? wosa, it supports encode h.265 and decode h.265, please check the profile. Installed the program, registered etc. All went fine. Converted a few video's; result - some good, some without sound, the other without screen. Download a video from Youtube(https://youtu.be/5WyYNpo2B1c) and converted it: ok.
"users have reported that the site ahead may contain adult material on some pages." It is possible that people put some files on Stack, that are adult or dangerous. But I can assure you, that I don't do that. Therefore I did create a separate Stack to use for GOTD-files. So no EXE, no adult, no copyrighted material. And there are some files, that I have downloaded from the internet, but from sites, I gave the link here. And also I took some photo's from tree's to do some photo-examples. All taken by me with my phone. Also possible that some people just say that the site is wrong. Just say it. No proof. Some years ago someone said, that it was not sure, that the converted file was converted with the GOTD-program of that day. It could also be done with some other program. Why should I put a file, made by another program than the GOTD-program? And also that the file could be found on the internet. Yes, of course I put it there. The only thing I can give is my word, that I will not put any stupid material on the internet. Nothing else. Louis Van Gendt, "users have reported that the site ahead may contain adult material on some pages." It is possible that people put some files on Stack, that are adult or dangerous. But I can assure you, that I don't do that. Therefore I did create a separate Stack to use for GOTD-files. So no EXE, no adult, no copyrighted material. And there are some files, that I have downloaded from the internet, but from sites, I gave the link here. And also I took some photo's from tree's to do some photo-examples. All taken by me with my phone. Also possible that some people just say that the site is wrong. Just say it. No proof. Some years ago someone said, that it was not sure, that the converted file was converted with the GOTD-program of that day. It could also be done with some other program. Why should I put a file, made by another program than the GOTD-program? And also that the file could be found on the internet. Yes, of course I put it there. The only thing I can give is my word, that I will not put any stupid material on the internet. Nothing else. Does this Software support cut/trim without complete reencoding (smart rendering)? 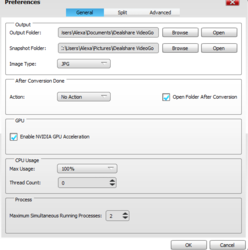 "Does this Software support cut/trim without complete reencoding (smart rendering)?" Short answer = no -- editing is an added feature & not what these converters are designed for. Cut editing is easier technically speaking, since cuts & joins are only performed at key frames, and while it's probably possible using the ffmpeg these converters are based on, it's difficult & iffy, using scripts written for the specific task. To perform so-called "Smart Rendering", the software used must fully understand & be able to duplicate the original encoding method & settings, which often means an app will only smart render video that it's encoded itself. How it works... The video in between key frames must be generated -- a key frame has a complete image, while the in between frames only record what's changed since the key frame. Generating those in between frames isn't hard, but, if you're going to cut or join video segments anywhere besides at key frames, that small portion of the videos will have to be re-encoded, so the in between frames match the new video. 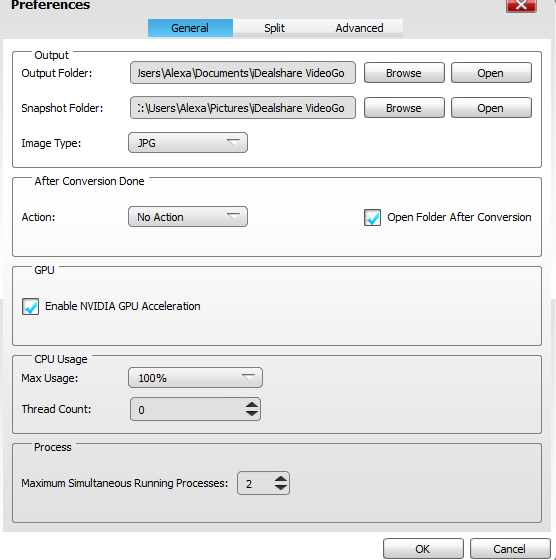 That's not a big deal for a video converter, since everything will be re-encoded anyway, but to smart render, that small, re-encoded patch & all video segments Must have matching encoding methods and settings. Lilien, <i>"Does this Software support cut/trim without complete reencoding (smart rendering)? "</i> Short answer = no -- editing is an added feature & not what these converters are designed for. Cut editing is easier technically speaking, since cuts & joins are only performed at key frames, and while it's probably possible using the ffmpeg these converters are based on, it's difficult & iffy, using scripts written for the specific task. To perform so-called "Smart Rendering", the software used must fully understand & be able to duplicate the original encoding method & settings, which often means an app will only smart render video that it's encoded itself. How it works... The video in between key frames must be generated -- a key frame has a complete image, while the in between frames only record what's changed since the key frame. Generating those in between frames isn't hard, but, if you're going to cut or join video segments anywhere besides at key frames, that small portion of the videos will have to be re-encoded, so the in between frames match the new video. That's not a big deal for a video converter, since everything will be re-encoded anyway, but to smart render, that small, re-encoded patch & all video segments Must have matching encoding methods and settings.